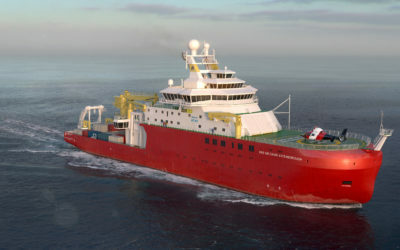 RRS Sir David Attenborough has a challenging design brief that incorporates requirements for powerful engines for navigation through ice, the need for quiet, low-vibration operation to enable sensitive acoustic instruments while underway, and adherence to strict environmental regulations. Accurate dynamic positioning system to keep the ship in place during instrument deployment using Tees White Gill bow and aft thrusters. 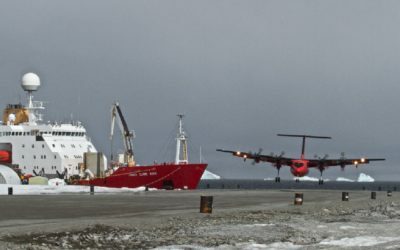 RRS Sir David Attenborough has to conform to stringent environmental regulations that are part of the International Maritime Organisation’s (IMO) Polar Code. For more information on the Polar Code, please see the IMO’s leaflet. This vessel is the first Polar Code compliant ship built in the UK. Under the auspices of the IMO, the International Convention for the Prevention of Pollution from Ships, or MARPOL, is the main international convention to prevent the pollution of the marine environment by ships, whether by accident or during routine operations. MARPOL guidelines exist for a range of emissions as well as the treatment of water and chemicals used on the ship, and the RRS Sir David Attenborough is designed to operate well within these and other environmental guidelines. The vessel will be fitted with four main engines, two nine-cylinder and two six-cylinder models of the same family and built by Rolls Royce. This configuration of different engine sizes allows for efficient operation across the wide range of conditions that the vessel is likely to encounter. In addition, a smaller harbour generator is also installed to allow the vessel to operate when in port without the main engines idling. The four main engines are designed to operate on ultra low sulphur fuel containing less than 0.1% sulphur. This limits its sulphur oxide emissions and meets the latest MARPOL requirements for operating in sulphur emission-controlled areas. The engines will also meet MARPOL requirements to limit the emissions of nitrogen oxides (NOx). In addition, the main engine exhausts are also fitted with selective catalytic reduction (SCR) units, which use urea injection to further reduce emissions of NOx to meet strict MARPOL Tier III limits. The vessel will be fitted with an oily bilge water separator, complying with the latest MARPOL requirements. The separator consists of a high-speed centrifuge to reduce the oil content of the bilge water discharged to less than 5ppm, or less than 0.0005%. Furthermore, bio-degradable oils have been specified wherever possible, including in the stern tube lubrication and deck hydraulic systems. Two sewage treatment plants will be fitted to the vessel, each capable of treating black water (sewage) and grey water (other domestic wastewater) to meet the discharge standards required by MARPOL and the US Coast Guard, and to achieve Lloyd’s Register ECO notation. 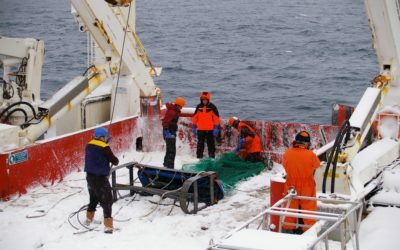 In areas such as the Antarctic, where zero discharge of sewage is permitted, holding tanks sufficient for 45 days are provided. Ballast water can be taken on by ships to improve the stability and balance of the ship when empty or when cargo cannot be balanced across the hold. The ballast water system on board is fitted with an approved treatment plant in accordance with the IMO’s International Convention for the Control and Management of Ships’ Ballast Water and Sediments. It controls the transfer of harmful aquatic organisms and pathogens through the ship’s ballast water system into the ocean. The treatment plant was specified to meet these requirements without discharging chemicals. The hull of the ship will be coated with a non-toxic paint system that provides a hard, impermeable and impenetrable coating which, along with manual removal of fouling at an early stage, will offer long-lasting protection for the hull without the use of chemicals. The internal sea water systems on board are protected by an electro-chlorination unit that uses sodium chloride (salt) and an electrolyser to generate sodium hypochlorite (“bleach”). This chemical is used to prevent the growth of marine organisms in the ship’s cooling systems as this would reduce the efficiency of cooling provide a risk to the engines. Once discharged overboard, the sodium hypochlorite decomposes to form harmless, naturally occurring products (salt and oxygen). The vessel is designed to meet strict requirements for internal and underwater radiated noise limits. This is important for the operation of sensitive acoustic and seismic equipment that will be deployed from the ship, and will also achieve the Lloyd’s Register Notation for Crew Accommodation Comfort. For underwater radiated noise, the vessel has been designed to achieve a DNV-GL Silent (R) notation during surveys at speeds up to and including 11 knots, and a DNV -GL Silent (S) notation whilst towing seismic equipment at 6-8 knots in calm seas.  The vessel will be provided with a Green Passport to facilitate the application of the IMO Guidelines on Ship Recycling. This document is produced by the shipyard at the construction stage and contains an inventory of all materials used in the construction of the ship. It is produced in a format that allows any subsequent changes in materials or equipment – for example, during a refit – to be recorded. This information is useful for recycling and safe disposal purposes at the end of the ship’s life.